The first step to marketing your business is deciding who your potential customers are and determining the types of services you could offer. Ask yourself whether you want to specialize in cleaning restaurants, warehouses, or go after a diversified portfolio of clients. Determine what sets you apart from your competitors, and try to attract the customers you want by marketing your business. Like any service business, marketing your janitorial business depends on the perceived quality of your offering. After all, you are not offering a tangible product that the customer can see, touch or feel. Most often, your ability to attract clients will be based on how you present your business to the customer, and the quality of your bid proposal (most new accounts are won through bidding). According to many janitorial service business owners, the best way to market this business is through cold calling. Drive through the area to look for newly opened businesses, buildings or facilities. Then introduce yourself to the landlords ­ your potential clients ­ and request for an opportunity to bid on their cleaning contract. While tedious and considered difficult by first-timers, going out of your way to look for clients is the surest way to get your business at the forefront of potential customers’ minds. Experts suggest that you should try to cold call at least three or four times a week; and better yet if you could talk to new prospects every day. You will be able to draw up a better and more professional proposal if you learn firsthand the needs of the potential customer, as well as the layout of the facility. Call the contractor of the building to get an idea of the materials used in the construction. For example, if you know what kind of carpeting has been used in the building, you may be able to consult a chemical manufacturing firm for advice on how best to clean that particular blend of carpet. If the client uses in-house personnel to clean the facility, present to the client various ways outsourcing and using your business to perform this task can give them a superior cleaning service. Networking is another effective strategy to get ahead in the janitorial business. Aside from newly opened buildings, get a list of companies that are downsizing or laying off cleaning staffs. These companies may be looking at outsourcing this aspect of their business, and your company may be what they need. Even if companies are not downsizing, get to know the building management staff in various commercial buildings and facilities in your area. They may not need your services now, but developing professional relationships with building managers will allow you to be topmost in their minds should a need for your services arise. Word of mouth is another effective form of advertising a janitorial service. 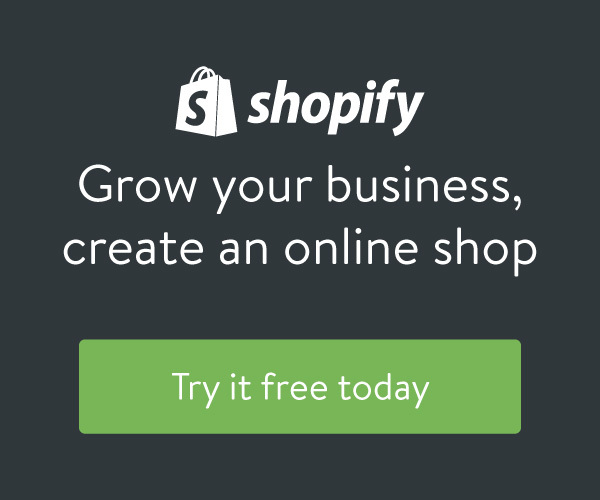 It can be generated through favorable feedback from your existing clients that will hopefully filter to other building owners or entrepreneurs in your area. A recommendation of a trusted colleague or friend carries more weight than any form of paid advertising. If you decide to embark on advertising, you can try placing an ad in newspapers or trade journals in your area. You can also try direct mailing to potential customers, sending them information and brochures about your business. Remember that marketing your janitorial business should be part of your daily activities. You need to market all the time, both in good times and more so during bad times. Marketing takes time and you need to keep working at it. It may take you up to three months of starting your business to get an account. Oftentimes, your first account is quite small. But don’t worry: persist in marketing your business until your client portfolio grows. Customers who come and go characterize this business; hence it is essential that you do not rest on your laurels and continue to grow your client portfolio. Studies show that the average turnover of clients is between two to three years. Check with your state and local county the requirements for starting a business. In some states such as New Jersey, a cleaning business is required to get a license from the Department of Law and Public Safety. In California, all businesses are required to get a business license (business tax certificate) and requires businesses with employees to prepare an Injury and Illness Prevention Plan. If you will be operating the business from a separate facility, you may be required to get zoning permits, signage permit if your business will be using signs, fire alarm permit, among others. Employee turnover will be your biggest headache in this business. This is the biggest reason why many corporations and businesses are outsourcing janitorial services to get rid of this perennial problem. The very reason why you get the account is also the biggest challenge of your fledgling new business. While the general skills needed to work in this field provide a wide pool of potential employees, employee turnover can be as high as 200 to 300 percent a year. After all, no one aspires to work and set a career with a broom for the rest of their lives. Your best bet to hold on to people longer is to pay above minimum wage and to train for advancement. Otherwise, you can try employing part-time personnel or transients such as students who can work flexible, albeit irregular, hours. Your pricing will be affected by a number of factors. You need to determine how many employees are needed for the task. The number of employees needed to clean a manufacturing facility is different from executive offices. The size of the area that you need to clean is another determining factor. A facility employing 500 workers in 10,000 square feet of floor space takes longer to clean compare to the same-size facility with 250 workers. You also need to know the level of difficulty in cleaning the area, and this includes determining if the space is carpeted, age of the carpeting, how the facility is heated and air-conditioned. Also find out the cleanliness level required by the client, as well as the frequency that you need to perform the duties required. Before you set your prices, be sure to visit and inspect the facility thoroughly. Discuss with your clients their expectations regarding your service and know what they really need from you. It is important that you do not price yourself out of the market, so be sure to compare your prices with your competitors. Keep in touch with what your competitors are charging and what services they are performing so that you can gain an edge in the marketplace. Read the article Pricing Business Services: How Much Should I Charge? A key part of this business is establishing business relationships with suppliers of cleaning equipment and general tools. You can buy in bulk from various wholesale suppliers the various cleaning supplies that you need such as glass cleaner, disinfectants and general all-purpose cleaners. Brooms, brushes and ladders can be purchased from your local hardware store. Be sure to compare the price and quality of the supplies that you use to make sure that you are always getting the best deal. Are You Updating Your Service Contracts? It is important to get your janitorial business and cleaning service licensed, bonded and protected by adequate insurance. Insurance is important to protect your business from any potential damages and claims your client will file. Surety bonds helps your business increase your credibility and gain the trust of your customers as it helps protect them from losses due to theft committed by unethical employees. 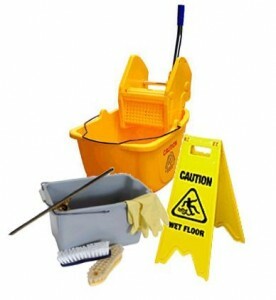 There are a number of companies that offer surety bonds specifically for janitorial businesses. Determine the kind of coverage you want based on the number of your employees, and factor in the cost in your monthly expenses. Jump Into Janitorial: How to build a cleaning business netting over six figures a year. Hi Jenny, what brand of cleaning equipment can you suggest for a janitorial business that’s still starting up? Determining the pricing model for your janitorial business is very important, especially as you deal with larger contracts and high-profile clients.